"Going to the Big Apple ? This is a must see 10 out of 10. This is a genuine review. We have seen other Broadway shows and this is up there with the best. Thoroughly recommend. Music great performers warm and engaging AND great atmosphere. Derek from England"
Welcome Musical Lovers! At Ticmate you will find a full range of musical tickets for shows in London´s West End, on Broadway in New York and in Las Vegas. We have collected the full range of musical shows on the same page! To get more information and book your tickets please read more in the menu below. Experience the beloved Disney animated film Frozen as it is adapted to the stage in this brand new musical edition! Join Anna on a quest to save her sister Elsa. 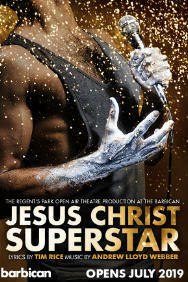 Secure your tickets to this sought after musical, book now! Chicago is the longest-running American musical on Broadway! It's the thrilling story about the two murderesses Velma and Roxie. Book your tickets to this award-winning musical from home! Garry Marshall's Pretty Woman, a new musical based on one of the most beloved romantic comedies of all time, will arrive on Broadway in the summer of 2018. Book your tickets for Pretty Woman, The Musical on Broadway in New York here! The Lion King is a musical experience for the whole family! Incredible staging and costumes, beautiful music and a moving story about Simba's journey. Make sure to get tickets for this insanely popular musical on Broadway! Come on a magic carpet ride with Disney's new musical comedy - Aladdin. Now playing on Broadway in New York. Prebook your tickets from home, and discover a whole new world, a whole new way! Experience the popular musical Wicked on Broadway! Winner of more than 100 awards, Wicked is a musical that'll make you laugh, cry and think! Prebook your tickets from home and start counting down to a magical night! The Blue Man Group is one of those shows that can't be explained, it has to be seen! 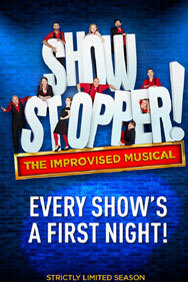 The show is both funny, original and energetic! Make sure to prebook your tickets and prepare to be amazed! Experience Andrew Lloyd Webber's masterpiece Phantom of the Opera! Phantom of the Opera is the longest-running musical on Broadway and has captivated audiences around the world. Complete your trip to New York and book your tickets now! Mean Girls is a ferociously funny new musical on Broadway, New York. Based on the popular movie from 2004, Mean Girls gets to the hilarious heart of what it means to be a true friend, a worthy nemesis, and above all, a human being. Book your tickets today - but remember on Wednesdays we wear pink! Kiss Me, Kate returns to Broadway in February 2019 starring Kelli O'Hara in the hilarious duo leading roles of "Kate" and "Lilli Vanessi." Kiss Me, Kate is a dazzling classic that earned the first-ever Tony Award for Best Musical. Avoid disappointment, book today! The Cher Show arrives on Broadway this Fall. Cher’s remarkably true story is brought to life in this new musical with a book by Rick Elice (Tony Award–winning Best Musical Jersey Boys). Don't miss out, book your tickets in advance! Waitress the Musical on Broadway in New York is uplifting and surprisingly poignant. Tony Award-winner Jessie Mueller plays the role of Jenna. Don't miss the funny musical Waitress when you're in New York! Welcome to Moulin Rouge! the Musical on Broadway! Enter a world of splendor and romance, of eye-popping excess, of glitz, grandeur and glory! 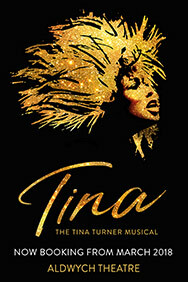 Pop the champagne and prepare for a 'spectacular spectacular' musical experience in New York! The musical Evita is playing for 55 performances only in London's West End. It is the story about Eva Peron. She was born into poverty, but driven by ambition and a good portion of charm, Evita became a starlet by age 22, the president's mistress by age 24, Argentina's first lady by age 27, and when she died of cancer at age 32 a immortal myth was born. Follies, winner of the Olivier Award for Best Musical Revival, returns in 2019. 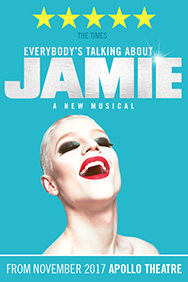 Enjoy Stephen Sondheim’s legendary musical in London. 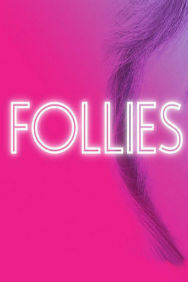 Book your tickets for Follies in London here! All his life, Evan Hansen has felt invisible. But when a tragedy thrusts him into the center of a rapidly evolving controversy, he is given the opportunity of a lifetime: the chance to be somebody else. Book your tickets from home and get the best seats available! The Imbible: A Spirited History of Drinking is a smash-hit musical comedy about the history of cocktails and spirits with three drinks included with your ticket! 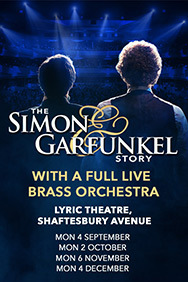 Get your hands on your tickets to this incredible musical experience, book your tickets today! Blue Man Group in Chicago combines music, technology and comedy to create a form of entertainment that defies categorization and appeals to people of all ages. The only way to truly understand Blue Man Group’s global popularity is to see the show for yourself. Come From Away is the breathtaking new musical on Broadway about 38 planes with 6,579 passengers were stranded in a remote town in Newfoundland. The locals opened their hearts and homes, hosting this international community of strangers – spurring unexpected camaraderie in extraordinary circumstances. Ensure your tickets, book from home! No one in the news is safe! NEWSical the Musical is back on Broadway lampooning current events, newsmakers, celebrities, and politicians. Book tickets here! This One’s for the Girls isn’t just for the girls! This fascinating and original new musical looks at the role of women over the past 100+ years. Book your tickets here! Experience the Tony-winning musical Jersey Boys! It has been seen by over 1.5 million people worldwide. Based on the story behind Frankie Valli and the Four Seasons, it's a must-see!